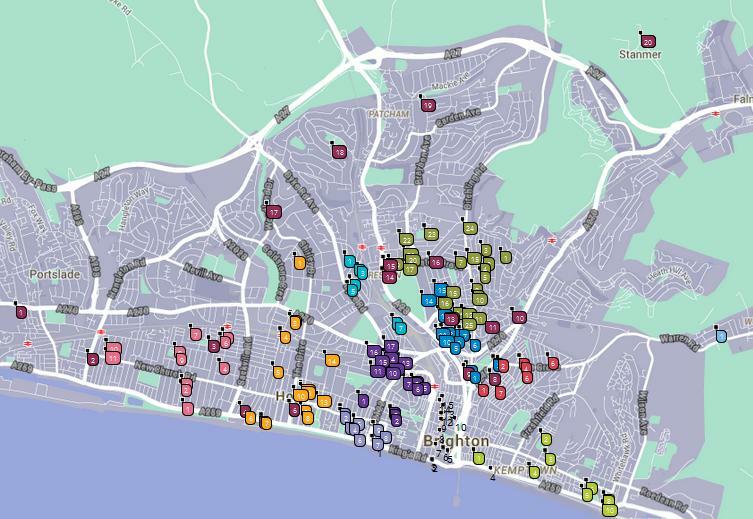 For the four weekends of May, Brighton and Hove’s Artists Open Houses (AOH) festival throws open its 200 front doors, inviting you inside to see the work of over 1,000 artists and makers. The festival provides a unique opportunity to meet the artists and makers in their studios and homes and to view and buy artwork directly from them. Showcasing everything from paintings, prints, sculpture, photography and video, to ceramics, glassware, textiles, and jewellery, the Artists Open Houses offers something for everyone. Many venues also hold workshops and events, offering you the opportunity to explore your creative side as well; see Events for times and details. The Artists Open Houses is an open to all, inclusive event, welcoming young and marginalized artists alongside its many established, professional artists. This year we are pleased to introduce the AOH Young Artists Project, piloted in five venues, where young artists both exhibit their work and develop useful learning skills for the future. AOH brochures and leaflets are out now! Pick one up at Brighton and Hove train stations, museums, libraries and many shops, bars and cafes around the city. AOH brochures and leaflets will also be available at all Open House venues. Look out for the Festivals of Brighton pop-up booth at Brighton station (opposite the ticket barriers), where you will find brochures for all four festivals: Artists Open Houses, Brighton Festival, HOUSE 2015 & Brighton Fringe, from 14th April. via May 2015 Festival Home – artists’ open houses. This entry was posted on April 17, 2015 by mptask in Brighton, Hove, May 2015, News Views and tagged AOH 2015, art, art exhibition, Artists Open Houses May 2015, Brighton and Hove.